There is know-how for consulting in Equestrian area. 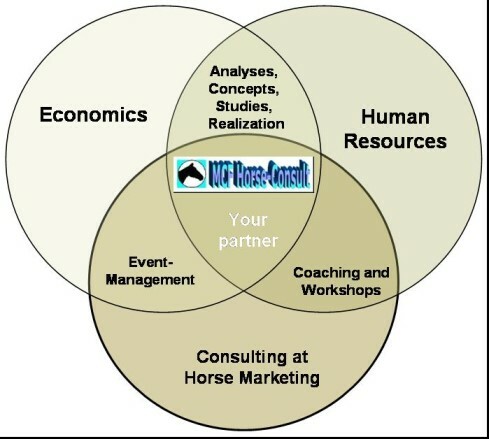 Additional Industry, business, economics, IT, equestrian, consult, consult equestrian, integration project, business economic, process optimization, interims Management, market, analysis, concepts, GAP and quality management. MCF (Frede, Fräde, Wrede, Vrede) stand for moderation, organisation, exhibition, trade show, members, staff, training, coaching, business learning, methodology, method, integration competent, technical, SAP, mentor, job searching, mentoring student. The MCF Horse Consult, by Marion Christine Fraede. The Themes are horse back riding, mount, back the right horse, dressage, jumping, jump, military, horse trading, paddock, stable, horse box, horse sense, horse breeder. Also horse consulting, breed consult, horse workshop. More themes are rider learning, rider workshop, horseman, horsemanship, riding instructor, Training, Coaching, saddle horse, riding saddle, horse-riding, riding stable, riding lesson, riding lessons, bridle path, herd book, stud book, cultivation, modesty, horse breed, breeder, cultivator, keeper, stud horse, breeding stallion, stock animal, breeding stock. Starting by analysis horse sport, achievement, tournament, ranking, strategic planning of stables and ending at horse school. More consulting for stallion, for buy and sale, school horses, marketing, horse dressage, jumping horse, jump horse, military horse, sport horse, judge. Own Equestrian sports center Pferdesportzentrum Honsolgen in Buchloe Bavaria." (horse sporting businesses, society, occupation horseman and private persons). Marion Christine Fraede is additional an external lecturer.